TheTownCrier: More stench from the bench-- YES, it's that bad. LOS ANGELES (KABC) -- A judge dismissed a lawsuit challenging the LAPD's controversial Special Order 40, which directs officers not to ask arrestees about their immigration status. The city of Los Angeles and the ACLU had asked the judge to dismiss the suit. A private citizen filed the suit against Special Order 40, calling it essentially a don't-ask-don't-tell policy for undocumented aliens. You probably have no idea what this is about. That's because it got no media coverage. 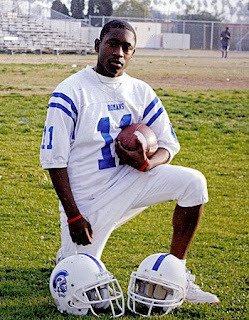 It's about a good American kid, Jamiel Shaw, while his mother was serving in Iraq, who was murdered by a gang of illegal alien thugs because he was black. It's about getting Los Angeles to allow law enforcement to ask an alien if he's here legally! DISMISSED!!! NOT worth the court's bother! Wasn't worth the bother of Al Sharpton, Jesse Jackson or the media either. A corrupt city and some 'non profit' legal firm has more power than our justice system? Apparently. Someone made this statement, which is hard to disagree with, but there is another point of view. Have you ever lived in a community and watched it be transformed by ‘outsiders’ and all the protesting you did was meaningless? First Southern Oregon went the way of the Southern Californians and ecofreaks moving in and bringing with them their liberal problems....same as the Hispanic illegals.....run away from it, but drag it home to me. Then they instituted a bunch of liberal laws...Oregon health plan, etc. and the invasion really started. Now the illegals know it’s a sanctuary, and it’s full scale. No, we don’t all deserve it, but like any culture that has been driven from it's home by people who think they deserve what you have, no one hears us. Not even in a court of law...equal justice for all? Well, some of us are more equal than others. The few who hear seem to have no power, but history is full of that problem. Even if the court had been just and heard this case, and the plaintiff prevailed....who is to say the city of LA would do what the court said. And who would make them? The feds??? In the early 1830’s some Cherokee Indians filed suit against President Jackson and his Indian removal act. They prevailed in the US Supreme court which held the Indians had every right of any US citizen to their lands, that they were as equal as any sovereign state in the union. Jackson said if the Supreme Court wanted their edict enforced, he wasn’t going to do it. And we all know how that turned out, don’t we? And yes, I do believe it’s gotten that bad again. Look at the 'choice' we've been given for president! “.......His famous, or rather I should say infamous, Indian bill was brought forward, and I opposed it from the purest motives in the world. Several of my colleagues got around me, and told me how well they loved me, and that I was ruining myself. They said this was a favourite measure of the president, and I ought to go for it. I told them I believed it was a wicked, unjust measure, and that I should go against it, let the cost to myself be what it might; that I was willing to go with General Jackson in everything that I believed was honest and right; but further than this I wouldn’t go for him, or any other man in the whole creation.
" 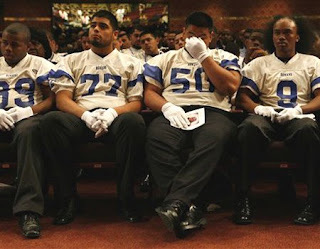 The alleged gang member accused of killing Los Angeles high school football star Jamiel Shaw is in the country illegally and had been released from jail without anyone questioning his citizenship the day before Shaw's shooting, according to a report by MyFOXLA.com."